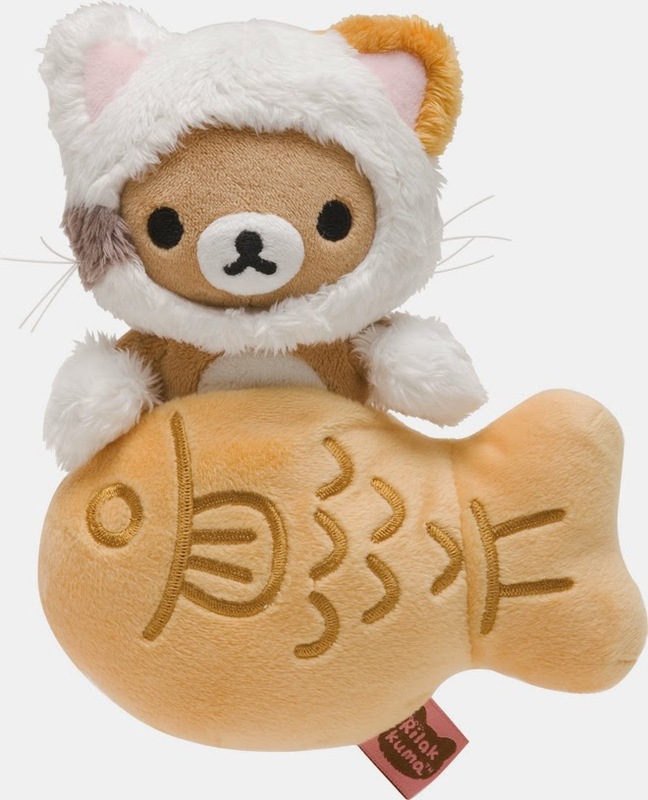 Rilakkuma is dressed as a cat, so like a cat, he likes fish. But since he is not a real cat, he loves the sweet taiyaki that is shaped like a fish! Look at how happy he is with his food. Don't we all feel the same way when we are having our favourite food? Korilakkuma the cat is sleeping on her pink cushion. The grey and pink colors really complement each other very well and it gives off a very comfortable feeling. 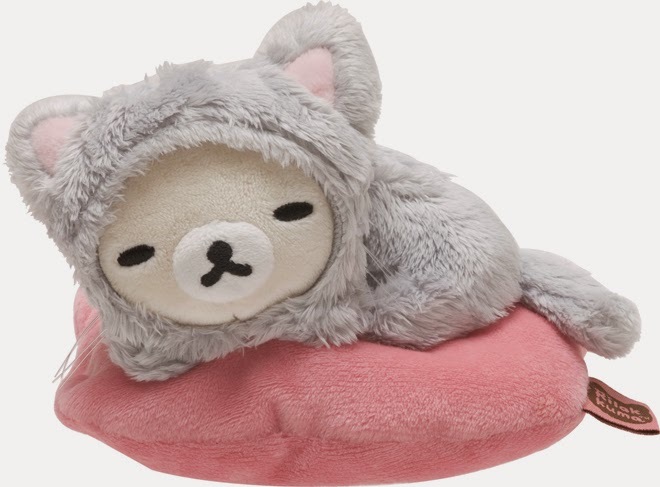 Since this is a flat cushion, you can leave it on your table top and relax with Korilakkuma. Looking at them really gives off a healing effect, all the stress seems to go away just by looking at their happy, relaxed faces.